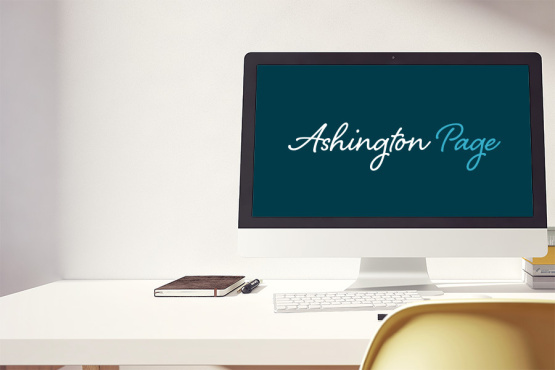 Welcome to the new-look Ashington Page website. As part of our continuing work to stay ahead of the competition we have rebranded and rebuilt our website to be faster and easier to navigate – we are really happy with how it has turned out. Do let us know your thoughts. As a multi award-winning estate agent it is important for us to have a strong identity; one that is recognisable and makes us stand out as leaders in our industry. We feel like our new logo and colour scheme (we have retained our turquoise but added a new dimension) shows how accessible and accommodating we are to all of our clients, whether they are buyers, sellers, landlords or tenants. Our new website offers everything you’d expect from a modern agency website. You can easily navigate through the site to find exactly what you are looking for with the minimum fuss. We recognise that people are becoming more tech savvy and so we have ensured that our new website infrastructure offers an online diary through which our prospective buyers can book appointments. You can even get an instant valuation on your property if you’re interested in finding out what your property is worth. However, we would like to remind you this is just an estimate and if you would like a more accurate valuation we would be happy to visit your property – just give us a call. You will have seen our new logo and colour way on our boards outside our properties over the last few weeks and you may have noticed that our office signage has been update already. Every enquiry that comes through our website will still follow our ‘same-day’ rule – that means we will respond the same day and our services will remain consistent. Even if you enquire online you will still be given a named point of contact who will guide you through your house move and advise you throughout – and we would encourage you to meet our whole team. You can also see some of our client testimonials on our YouTube channel and follow us on Facebook and Twitter for all the latest industry and local news. Remember, if you happen to be in Beaconsfield and are thinking about buying, selling or renting a property in the area, why not drop in and see our new look in situ and say ‘hi’ to the team. If you would like to contact us, please feel free to email us or call on 01494 680018.